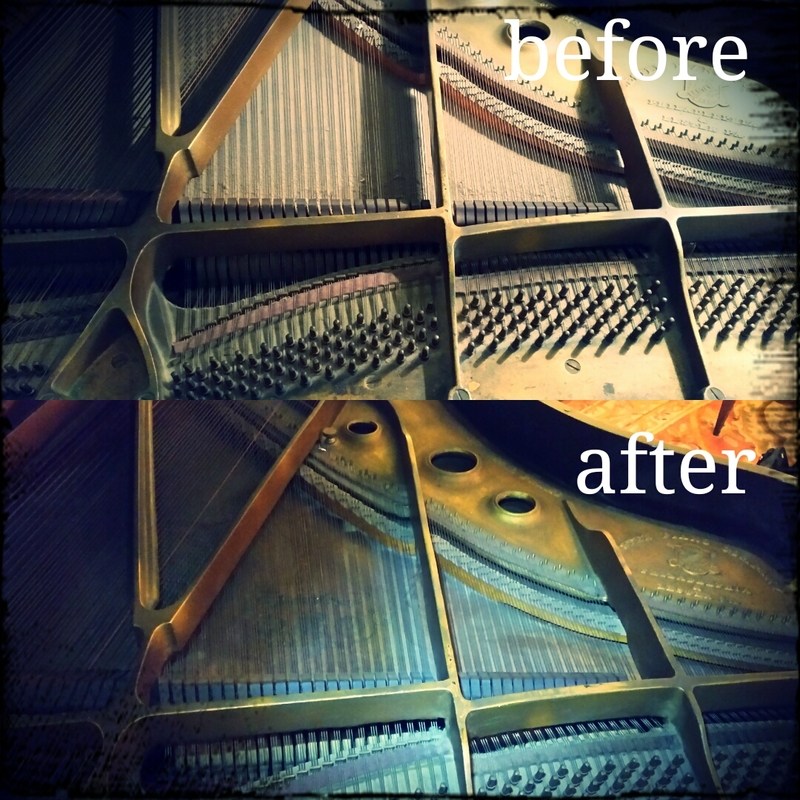 Cleaning the soundboard and plate of a grand piano can make a huge cosmetic difference! It won’t make the piano look new again (at least, don’t count on it), but if you have a grand piano and like to leave the lid open, make sure you stay on top of cleaning. General purpose, non-abrasive cleaners are fine for the metal plate. The soundboard is a little trickier to clean if you don’t have special equipment to get under the strings, so you may want to talk to your technician about that at your annual appointment. This piano was nearly a century old, and it might have been that long since it was cleaned. There was about an eighth of an inch of dust on the soundboard!